I realised recently that I love Thai food cus there's always something sweet to end the meal with. It's like a nice "full-stop" for each meal! Khao Neow Ma Muang ข้าวเหนียวมะม่วง (Sticky Rice with Mango): Sweet sticky rice with sweet yellow mango on top and covered in coconut cream syrup. Khao Neow Mamuang is among the most popular Thai desserts to eat in and outside of Thailand. 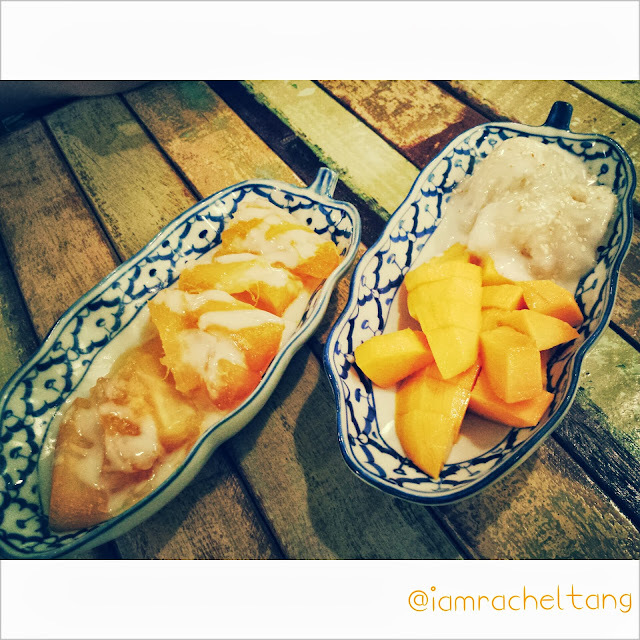 In Bangkok, you’ll find mango sticky rice all over during mango season.